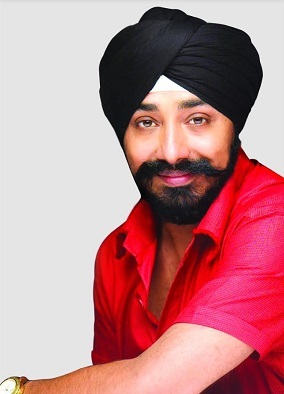 Mr. Kulwinder Singh Kohli is the Founder and Non-executive Chairman of Frankfinn Group. The group, now synonym to the quality training and best trained work force as Air Hostesses, Crew members, ground staff and front office executives in Aviation, Hospitality, Travel & Customer Services Sectors. Mr. Kulwinder Singh Kohli started with just an investment of Rs. 40,000. It was Mr. Kulwinder Singh Kohli’s sweat and toil that has brought this growth story to the worth of Rs. 1500 Crores and a million aspirations come true. The Company was incorporated in 1993 and a truly visionary Mr. Kohli commenced an institute specialising in training the work force through vocational courses for Aviation, Hospitality, Tourism, and Customer Services industry, which was yet to sprout. Mr. Kulwinder Singh Kohli’s perseverance has fuelled the brand Frankfinn to its extensive presence pan India and recognition across the globe. At the age of 31, Mr. Kulwinder Singh Kohli, Lawyer by profession became an entrepreneur. His efforts brought up the undisputed leader in the training industry. Under his guidance, the group has a become a name to be trusted. It is this trust that his brain child, Frankfinn, is also approved training partner of the National Skill Development Corporation India (NSDC). The global luxury travel industry has witnessed an exponential growth and it is the calculative faith on this growth that Mr. Kohli sees a sea of opportunities to dive into. In the next five years to come, Mr. Kohli plans to reach the top ten in the global list of aviation and entertainment industry. To achieve this, major expansions and diversifications are intended to be made effective. The group is also in the progression to launch their own regional airline Air Frankfinn, a leap among the list of achievements of the group. Under the leadership of Mr. Kohli, the group has attained a position where no competition stands in the near sight. Mr. Kohli has always batted for collective growth, and yet provide the space for individual progress. Under his guidance the group has become a close knitted family striving for innovation in the industry. The values infused with this work environment is exuberated in the ethics of the group. The government with schemes like UDAN is pushing aggressively towards an affordable air travel to Indians, beyond the metropolitan city lights. This has not just brought the scope for highly skilled Air Hostesses but also the service standards. It is the diligence of Frankfinn that has made it a trusted name in the industry. The government’s focus on low-cost carriers (LCCs), increased foreign direct investment (FDI) in domestic airlines, and a constant focus on regional connectivity is opening gates for the aviation industry like never before. The growth for the industry in Asia-Pacific region has increased manifolds, opening opportunities across the seas. About Frankfinn Aviation Services Pvt. Ltd.
Frankfinn Institute is ranked world’s number one for Air Hostess Training. The courses prepare aspirants for the roles of air hostesses, flight stewards and ground staff, air ticketing executives in airlines and guest relation executives, front office executives in hospitality, travel and customer service industries. The institute offers a sky full of opportunities across the globe. With over 45 centres, the institute has the largest network in India along with an international presence in Dubai, which provides each Frankfinn student with excellent training for personality development, aviation, communication skills, grooming, and computerized reservation systems. Frankfinn is the only institute in India to have an exclusive worldwide tie-up with ICM, an institute of repute in the UK, having tie-ups with universities, colleges and institutes mapping the globe. All the courses of Frankfinn are accredited to ICM. Detailed information can be found here: www.frankfinn.com.